on a free printable checklist. 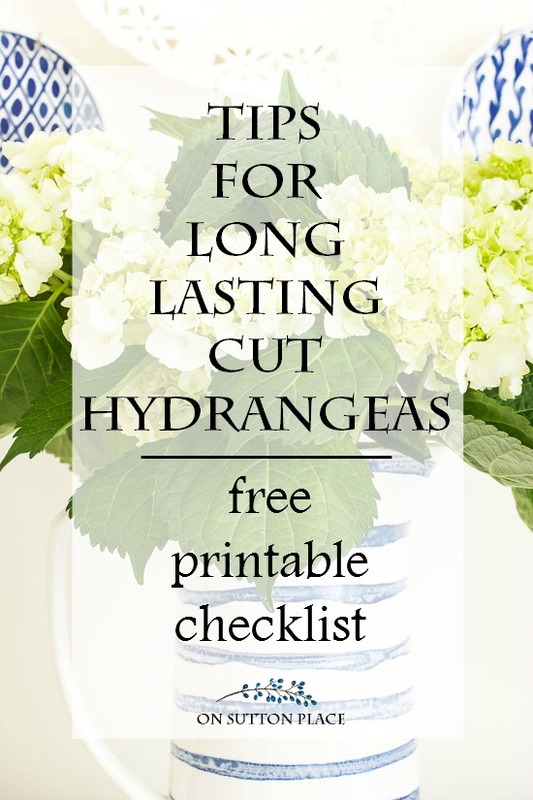 When I shared my top three Secrets to Long Lasting Cut Hydrangeas, my amazing readers had some great feedback and tips of their own. I decided to take a few of those suggestions, along with my own, and put together a handy checklist so you would have all of these tips at your fingertips. Readers of On Sutton Place are a like-minded group of mostly women who love their homes, enjoy a little gardening, decorate on a budget and like simple recipes. That’s what you will find here and we would love for you to join us! Click the button above for a little more information and the sign-up form. See you soon!